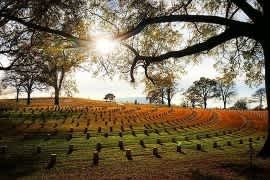 The 120 acre cemetery was established in December 1863 as a military cemetery. 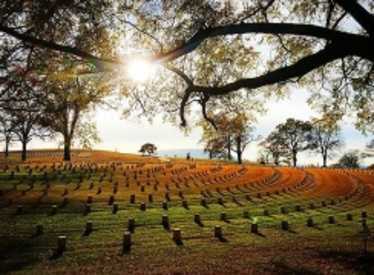 Chattanooga is the largest national cemetery in the state of Tennessee. Chattanooga is considered to be one of the few national cemeteries, if not the only one, where three civil war battle sites can be viewed. They are Missionary Ridge, Lookout Mountain and Chattanooga.